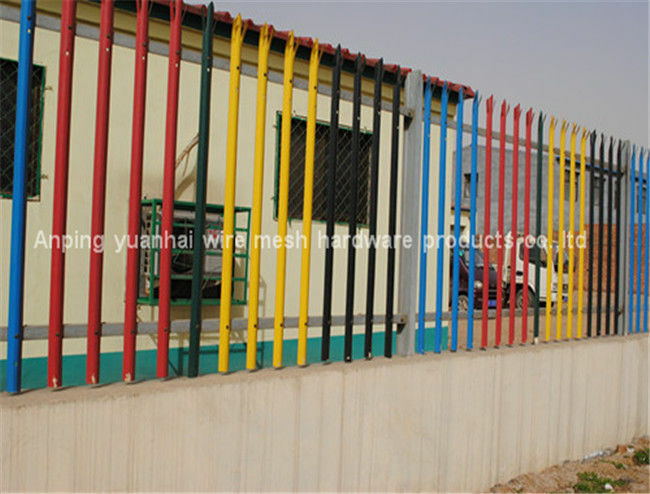 * Steel palisade fencing provides maximum protection against vandals and intruders. * Cold rolled steel pales are attached to horizontal steel rails, which in turn are attached to vertical steel RSJ's, which are concreted or secured with plates or brackets. 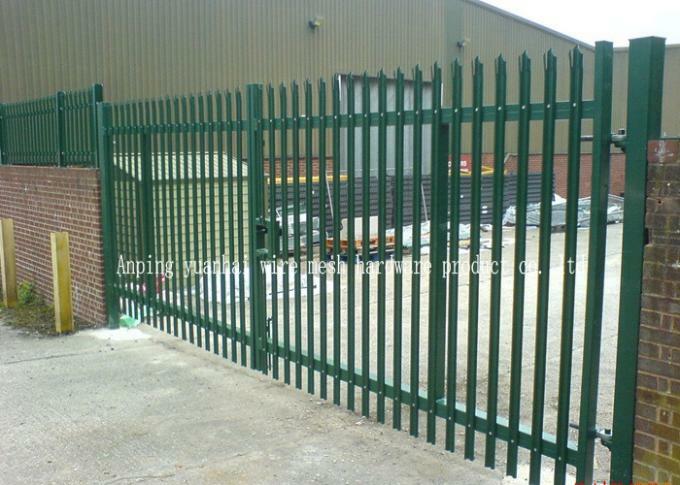 * This amounts to a virtually impenetratable steel barrier that is available in heights of up-to 3.2 metres. Palisade fencing is a good choice when considering security, versitility, low maintenance, and value for money. 8 13 ga. 5-15/16" 2" TS x 14 ga.
10 13 ga. 5-15/16" 2" TS x 14 ga.
12 13 ga. 5-15/16" 2" TS x 14 ga.
Optionally available with base plates for bolt-down or cranked over walls. Also available with bracket extensions for barbed wire or razor wire. Steel angle rails punched for pale attachment. Connected with 12mm square cup bolts and anti-vandal permacone (snap-off) nuts. Split-tripple point or single point for high security. Rounded or rounded and notched for safety. Rails and pales are fitted using 'rivets & collars' or rounded bolts with permacone nuts (snap-off / anti-vandal). 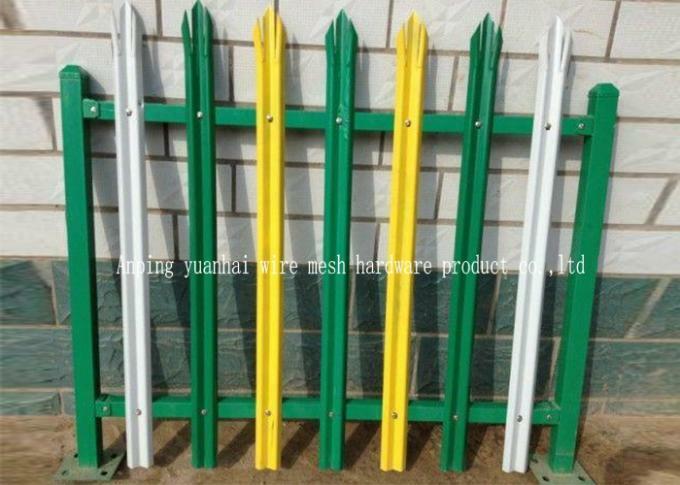 Link plates, AKA 'Fish Plates' fit through the holes is the steel fencing posts and join the rails together. Available as 'Hot Dipped Galvanised' or 'Galvanised & Polyester Powder Coated to any colour'.